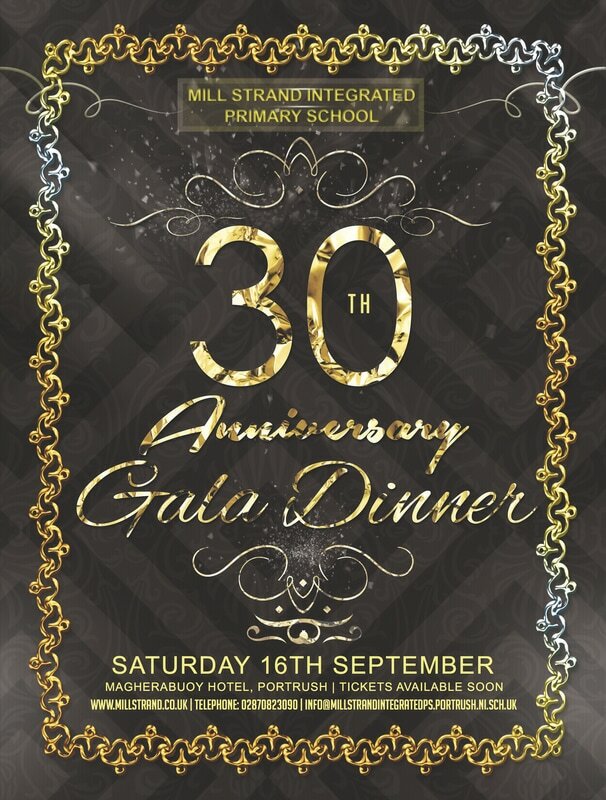 ​Join us for our 30th Anniversary Gala Dinner & celebrations on Saturday 16th September at the Magherabuoy House Hotel, Portrush. A 3 course dinner including buffet main will be served once everyone is comfortably seated and relaxed. A selection of guest speakers will help us celebrate 30 years of Mill Strand through stories and photos. ​Compare on the night will be Brian Moore. Tickets can be purchased online from the links provided below or via Jane in the school office. If you would like to reserve tickets please contact Bronagh Sweeney for more information, click here. Please let us know if you can make it and who you will be bringing.